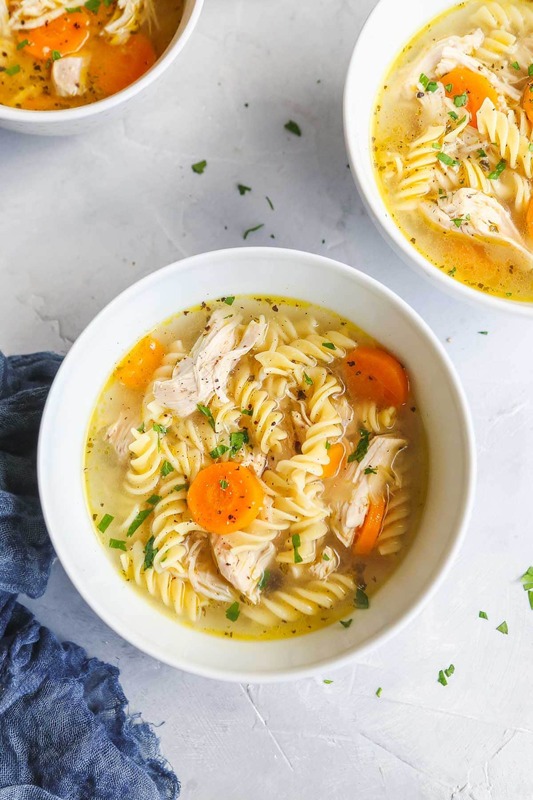 This Instant Pot Chicken Soup is easy comfort food, and perfect for a quick midweek lunch or dinner meal. 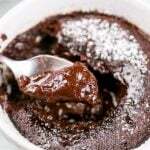 It’s so easy to make, and requires very few and simple ingredients! Trust me, you won’t be able to stop at just one bowl. I love chicken soup, it’s one of these comfort foods that I can eat at any time of the year. My Mum always made and still makes chicken soup for us, and everyone in our family loves it. Thanks to her, I know how to make the PERFECT chicken soup. 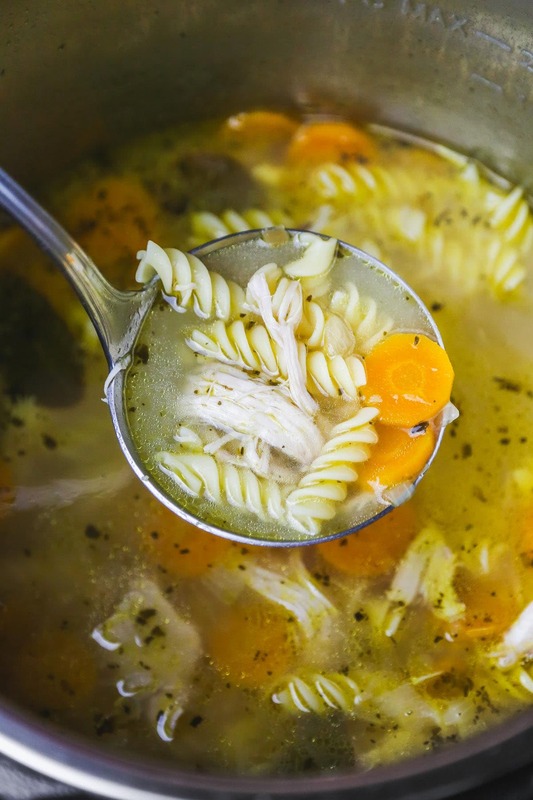 Chicken noodle soup is usually made during winter, especially if someone in the family is sick. I mean, when I catch a cold I instantly start craving a big bowl of homemade chicken soup (how does that even work?). But this chicken soup is really great to enjoy during any season in the year, not just the flu season. It’s so easy and quick to make, it’s healthy and it’s really delicious and comforting. 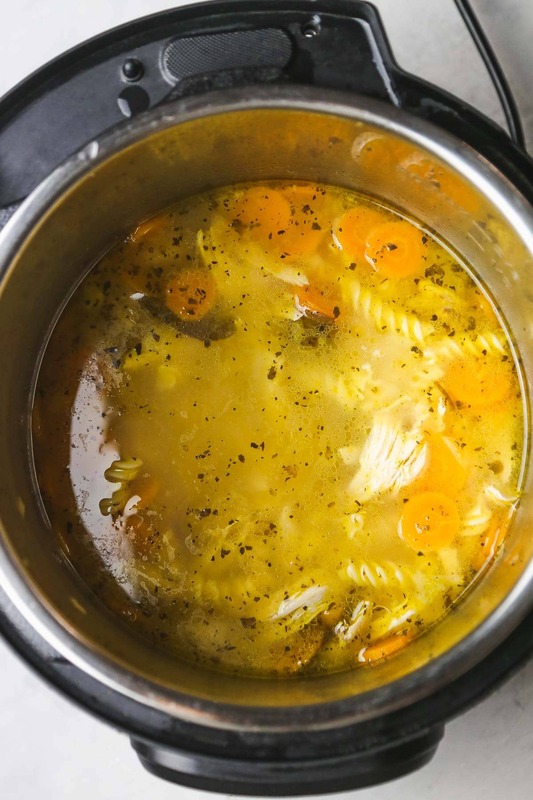 In this post, I’m sharing with you my Instant Pot chicken soup recipe, with all the tips and tricks that you will need to make sure that your chicken noodle soup is a crowd pleaser! Chicken soup is so versatile, you can still make it even if you don’t have all of the ingredients in hand. You can use fresh or frozen chicken, chicken breast or a chicken leg works, and any spices and herbs that you like can be added to this soup. 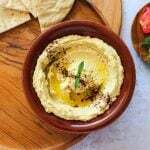 This recipe is a real lifesaver when you’re stuck at home, and the weather is really cold outside and you just need something to warm you up (and cheer you up!). 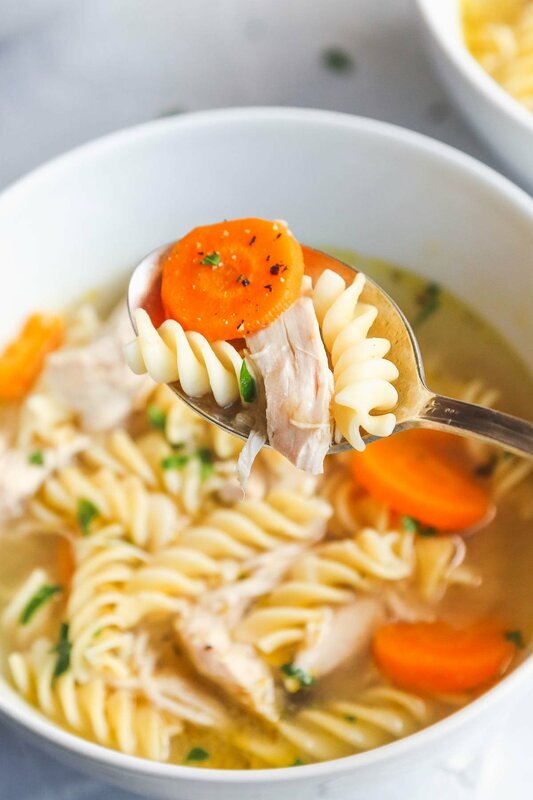 This chicken noodle soup is ready in just half an hour, and below are the detailed steps that anyone can follow (even if you’re really new to cooking). Open the Instant Pot, make sure that the metal bowl is inserted. Click on “Saute”, choose 5 minutes and keep the lid open. Add olive oil, and saute a diced onion, crushed garlic, and a chopped carrot. Place the rest of the ingredients in the Instant Pot bowl (except for the egg noodles). This includes 2 chicken breasts (either fresh and chilled or frozen), bay leaves, peppercorns, spice, herbs, and salt. Add 8 cups (2 litres) of chicken stock. It can be either cold or warm, it won’t make a difference. You can use homemade chicken stock, store-bought liquid chicken stock, or just use hot water and add 1 cube of stock to it. Close the lid, make sure that the valve is in sealing position. Choose the “Pressure Cook” program, set it on high for a total of 10 minutes. Leave the IP do its magic and come back once it’s done. When the cooking is finishing, quickly do a quick release. Open the lid, and using metal tongs take out the chicken breasts. Using 2 forks shred the chicken, and set aside. Back to the Instant Pot, set the program on “saute” again and choose 10 minutes. Add the dried egg noodles to the soup and leave them to cook. I usually use a lid to let the noodles cook quicker. If you open the lid, you’ll see that the soup is boiling, a lot, and that’s okay. When the noodles are soft enough for you, dump in the shredded chicken in the soup and serve. You can garnish the soup with some chopped parsley. 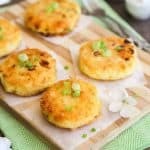 DO I NEED TO USE A CHICKEN BREAST OR CAN I USE OTHER CHICKEN PIECES AS WELL? You can use chicken legs or drums if you prefer or don’t have a chicken breast on hand. You can even cook the chicken with bone in the soup and leave it as is once it’s cooked, so you don’t need to shred it (unless you prefer to). You can either use fresh chicken breast or frozen chicken breast to make this soup. If you don’t have time to thaw the chicken, just increase the cooking time by 1 minute. 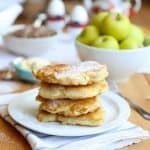 WHAT HERBS CAN I USE IN THIS RECIPE? I always add bay leaves, dried thyme, and rosemary, and garnish with fresh chopped parsley. However, you can add any herbs that you like! Dill tastes amazing in this soup, you could also add tarragon, dried scallions or basil. 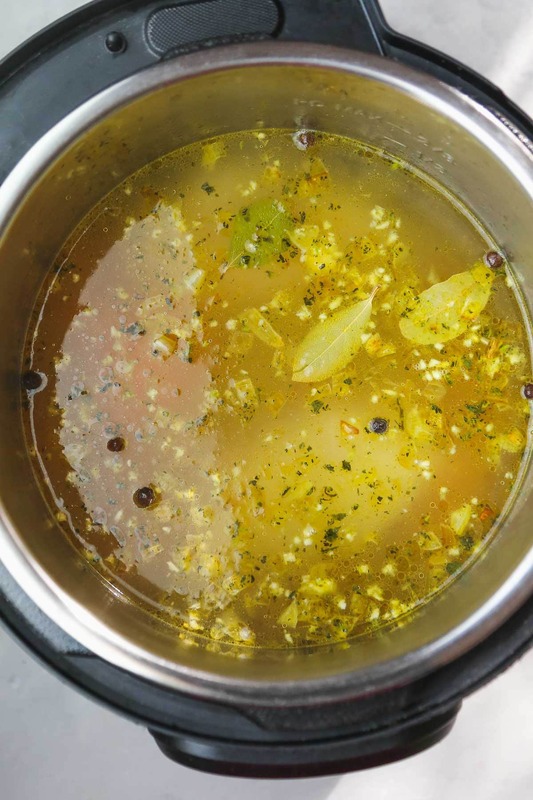 There is a difference between chicken broth and chicken stock. 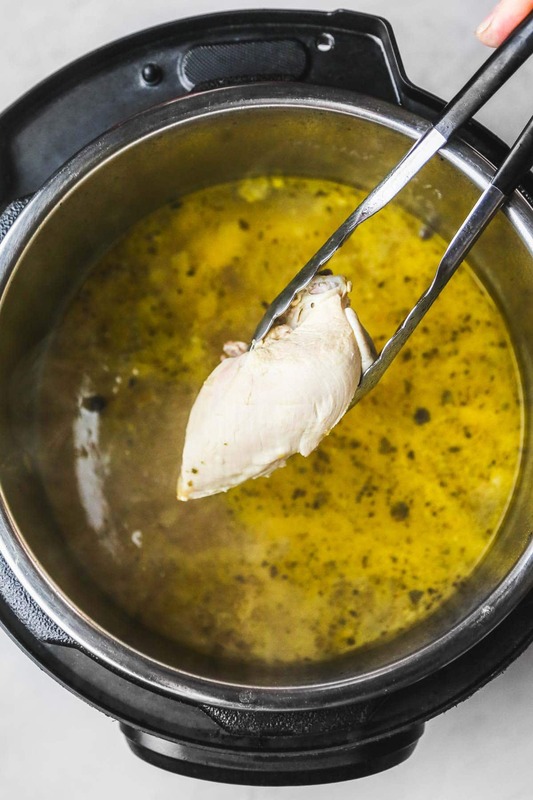 Chicken broth is made from simmering the meat, but chicken stock is made from simmering just the bones. The taste of the stock is a bit more concentrated, and that’s what I’ve used to make this chicken noodle soup. But if you use chicken broth, that will work perfectly fine in this recipe. My mother always added things like noodles, rice or potatoes to the soups that she made. It’s really important to add one of these 3 to make this soup filling and even more comforting. As my recipe calls for noodles, you could add substitute the noodles with rice or diced potatoes or both! 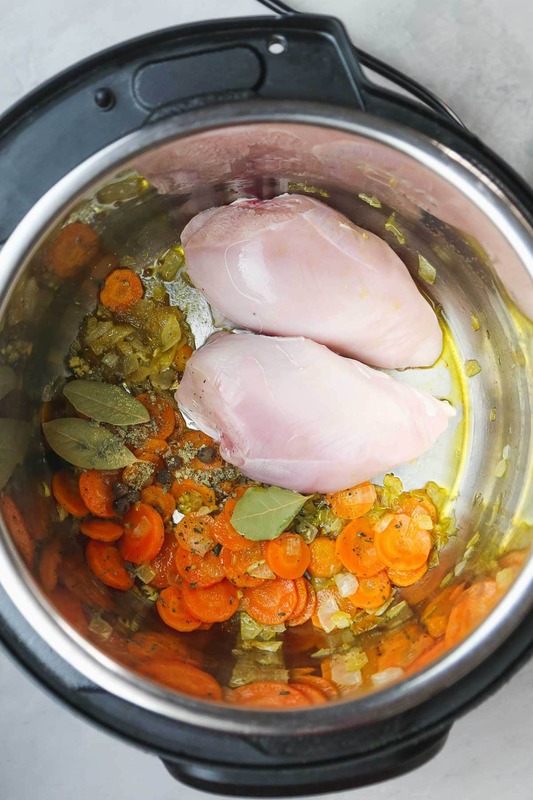 Making this soup using rotisserie chicken speeds things up, if you have some leftover rotisserie chicken that you need to use up then you can use it to make this soup. The cooking time will go down from 10 minutes to 5 minutes, and the soup will have a different colour and slightly different taste. But it will still turn out as fabulous! 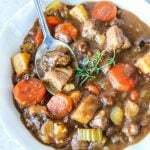 You can make this soup in the slow cooker as well. 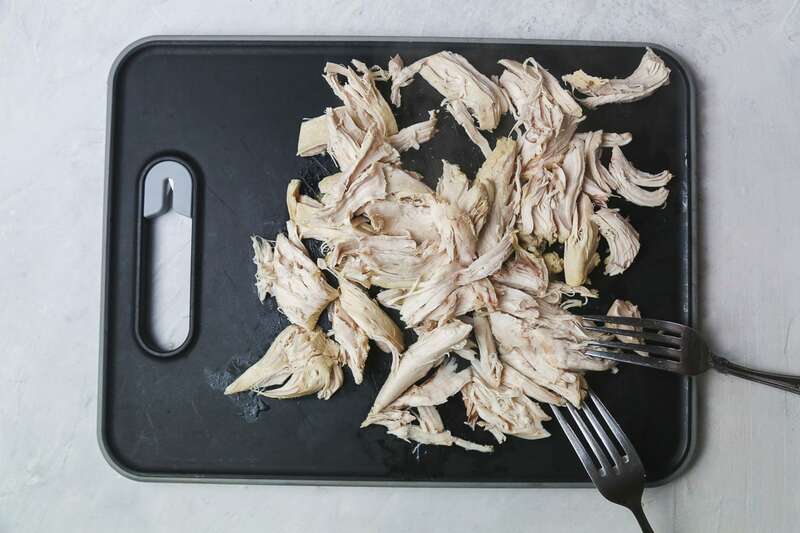 Cook on low for 6-8 hours or on high for 3-4 hours or when the chicken is easily shredded. Cook the egg noodles separately according to package instructions, then add them to the soup and cook on low for 5 minutes. 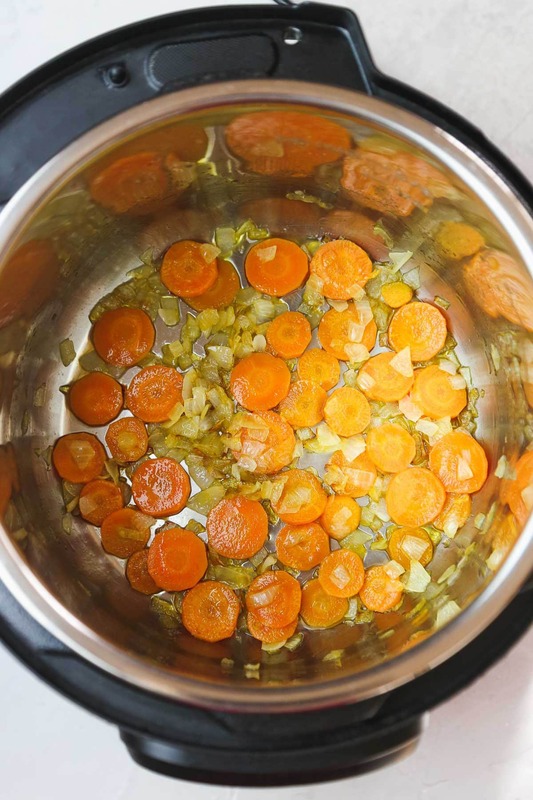 This soup can last in the fridge for up to 3 days in an airtight container. Yes you can freeze this chicken noodle soup for up to 3 months. 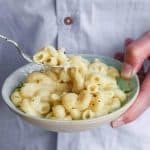 WHAT KIND OF NOODLES CAN I USE TO MAKE THIS NOODLE SOUP? You can use any pasta shape that you like. I usually go for fusilli, but you can add penne, farfalle, or even long noodles like bucatini or spaghetti. If you use small pasta shapes then you will need to cook the noodles for a minute or 2 less. If you’re looking for more quick and easy Instant Pot dinner recipes, give this prawn linguine pasta a try! 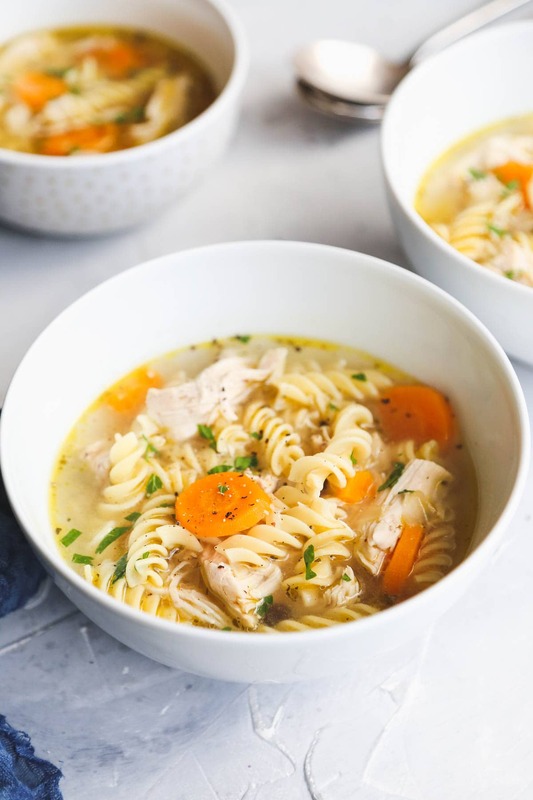 This Instant Pot Chicken Soup is easy comfort food, and perfect for a quick midweek lunch or dinner meal. 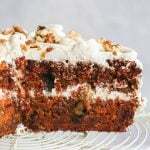 It's so easy to make, and requires very few and simple ingredients! Trust me, you won't be able to stop at just one bowl. Open the Instant Pot, make sure that the metal bowl is inserted. Click on "Saute", choose 5 minutes and keep the lid open. Place the rest of the ingredients in the Instant Pot bowl (except for the egg noodles). This includes 2 chicken breasts (either fresh and chilled or frozen), bay leaves, peppercorns, spice, herbs, and salt. Add chicken stock. It can be either cold or warm, it won't make a difference. You can use homemade chicken stock, store-bought liquid chicken stock, or just use hot water and add 1 cube of stock to it. Choose the "Pressure Cook" program, set it on high for a total of 10 minutes. Leave the IP do its magic and come back once it's done. Back to the Instant Pot, set the program on "saute" again and choose 10 minutes. Add the dried egg noodles to the soup and leave them to cook. I usually use a lid to let the noodles cook quicker. If you open the lid, you'll see that the soup is boiling, a lot, and that's okay. When the noodles are soft enough, dump in the shredded chicken in the soup and serve. You can garnish the soup with some chopped parsley. If using frozen chicken, add 1 minute to the cooking time. A classic! I love your suggestion to use chicken legs, that would be delicious. 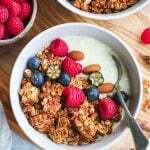 I love that you mentioned craving this when you have a cold or flu (so true!) 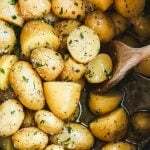 – there’s a New York Times article detailing the science behind that. Chicken soup really does help lessen the awful cold symptoms! Made this yesterday. Hubby says this is the best chicken soup he has ever had! Thank you! 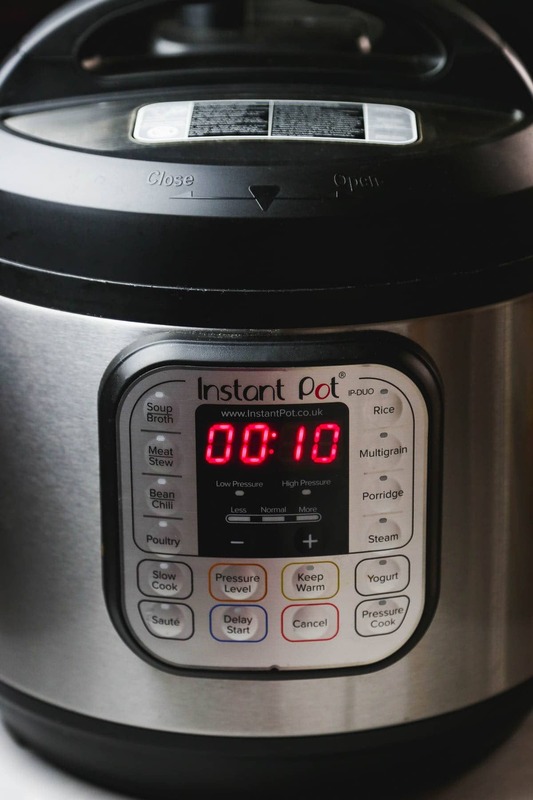 Such a great use for the instant pot! I could really use this right now. My whole family has staggered being sick over the past few weeks. That looks so hearty and nourishing for these cold winter days! I definitely need to whip it up this weekend! Thanks for breaking this whole process down. I’m still nervous when using my IP so this helps give me confidence that I can do it. Such a comforting meal!